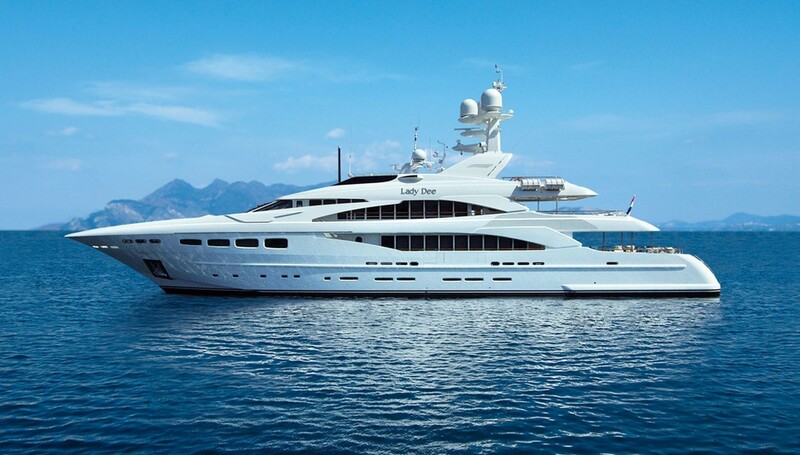 Superyacht Lady Dee (Project DYB47) is a 47m (154'20'') luxury vessel, launched by the Acico Yachts shipyard, formerly known as Dutch Yacht Builders, in 2012. 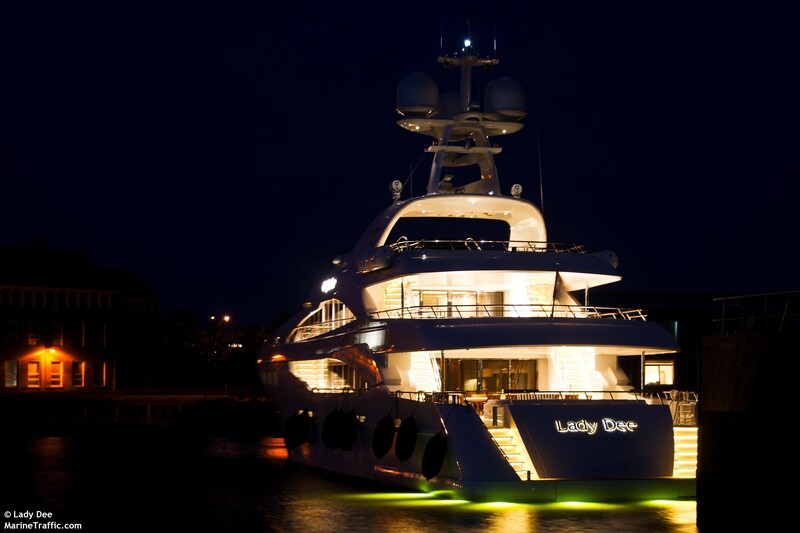 Motor yacht Lady Dee boasts naval architecture by Olivier F. van Meer, while her beautiful exterior is by the Dutch designer Cor D Rover. 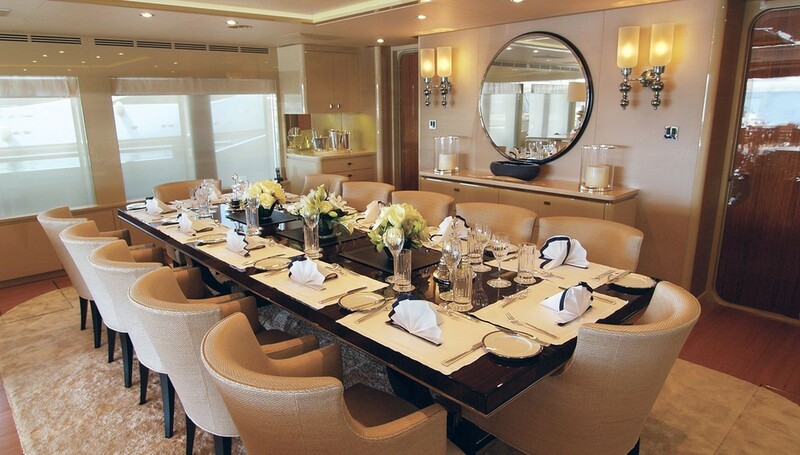 The main salon offers a spacious formal dining area with seating for 12 guests. 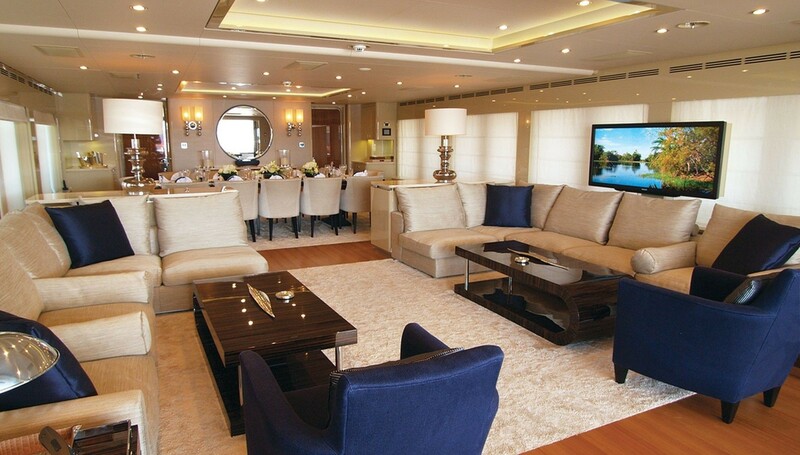 Lots of natural light, soft furnishing and ultra-modern entertainment system are there for total comfort and entertainment. 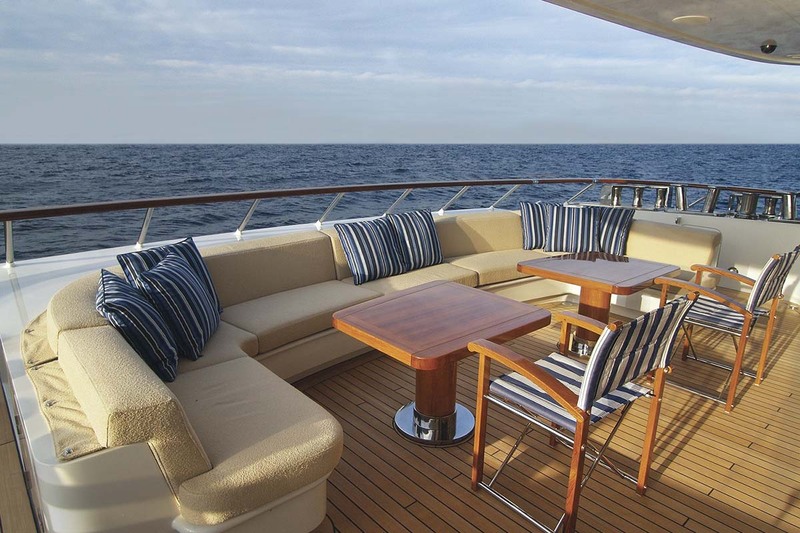 The aft deck has plenty of space to enjoy dining alfresco, as well as soak up the sunshine or gaze at the stars at the uncovered seating area. 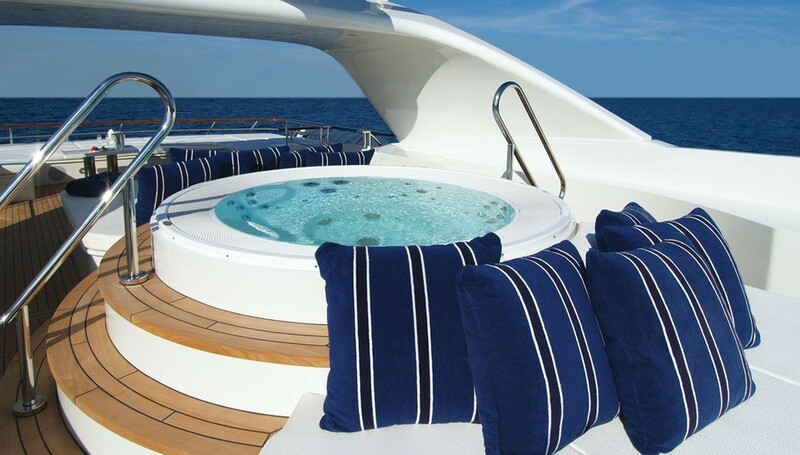 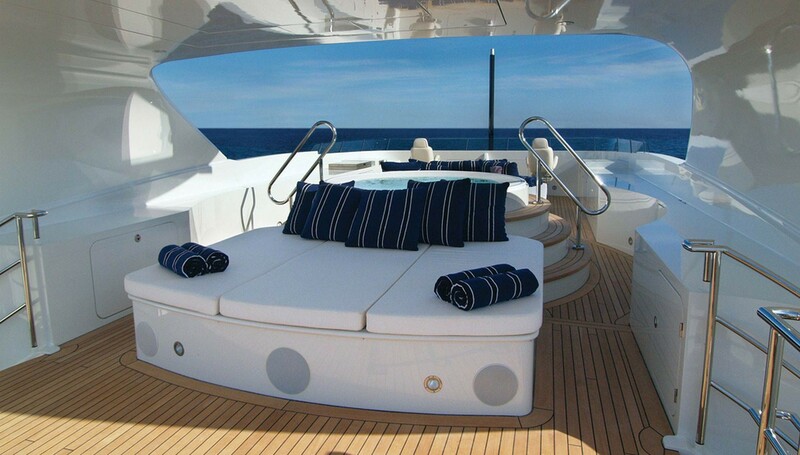 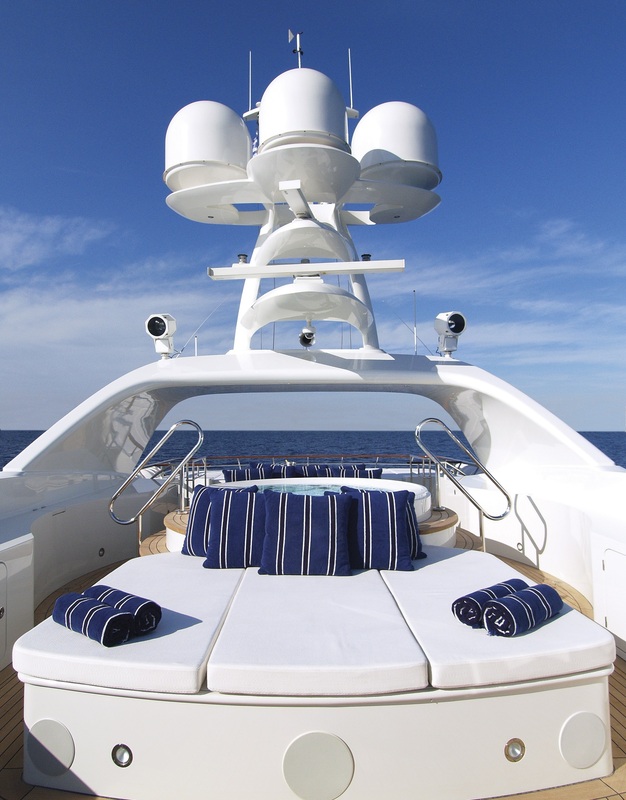 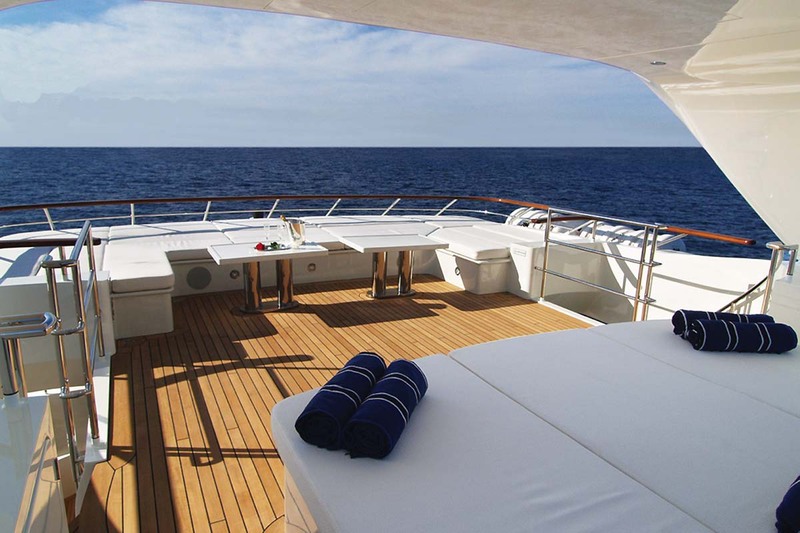 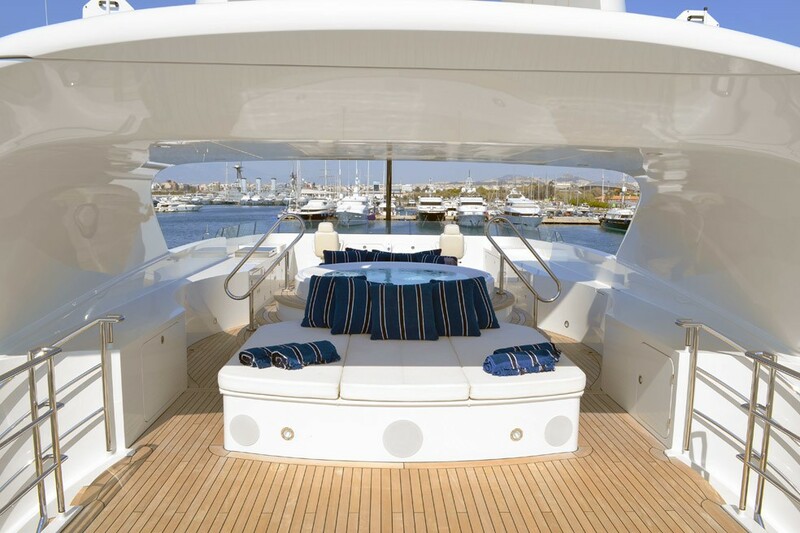 Relaxing on Sun pads or in Jacuzzi will add some tranquility to LADY DEE's charter guests' luxury cruising experience. 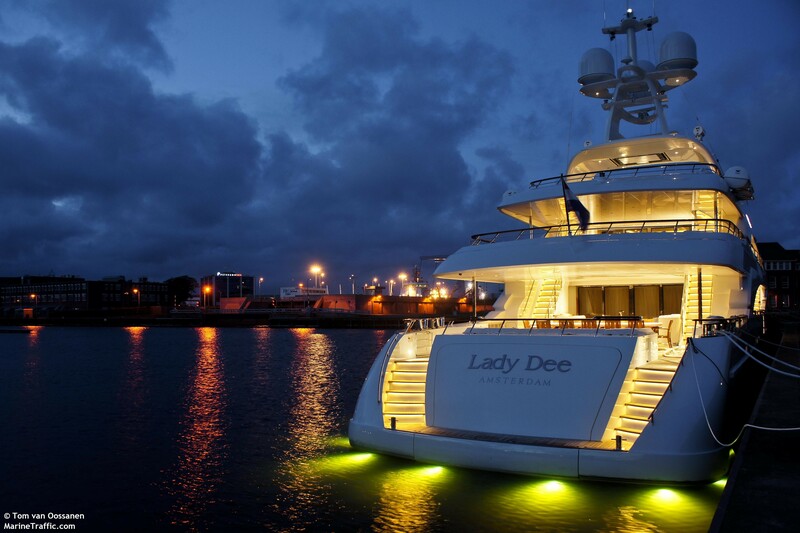 LADY DEE features two tenders, wave runners, jet skis, water skis and other superb water toys. 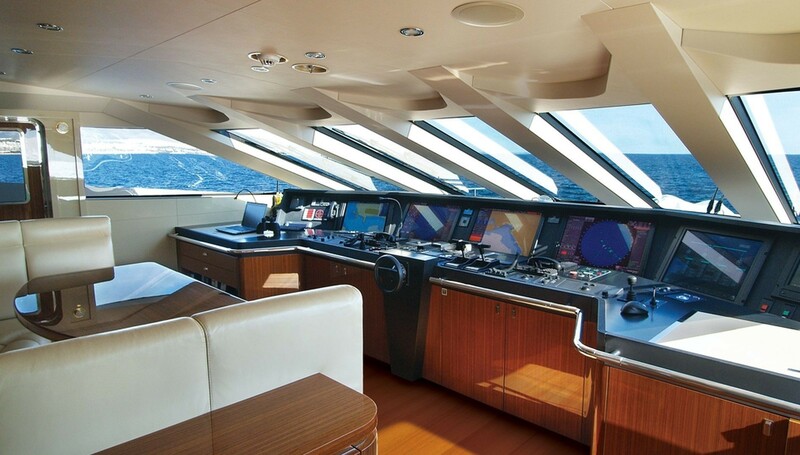 She reaches a maximum speed of 16 knots and cruises at 15 knots. 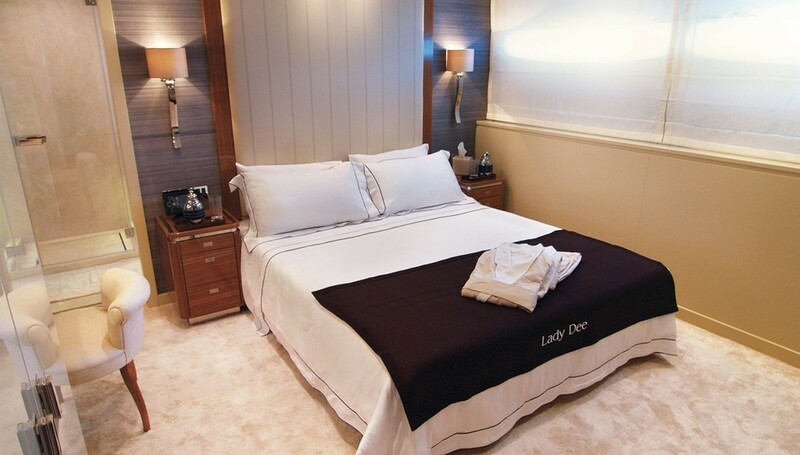 Luxury yacht Lady Dee provides beautiful accommodation to up to 12 guests in 6 lovely cabins, including one master suite, a VIP cabin two double suites as well as two twin cabins. 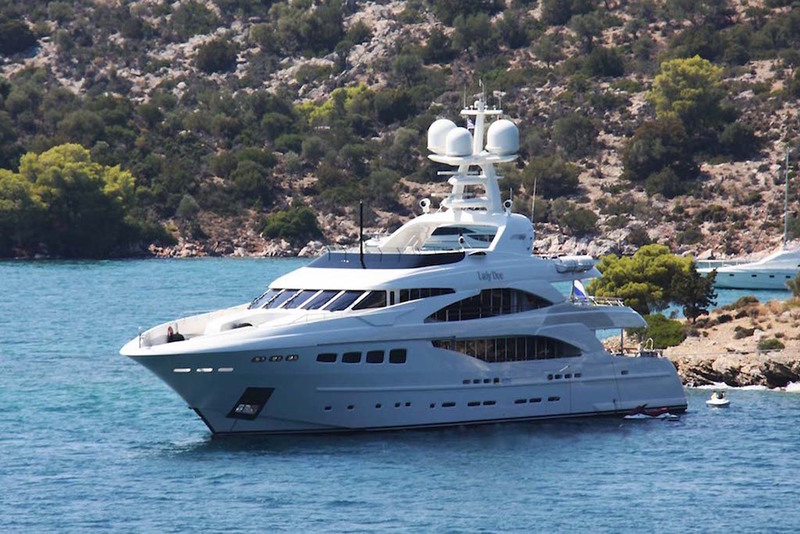 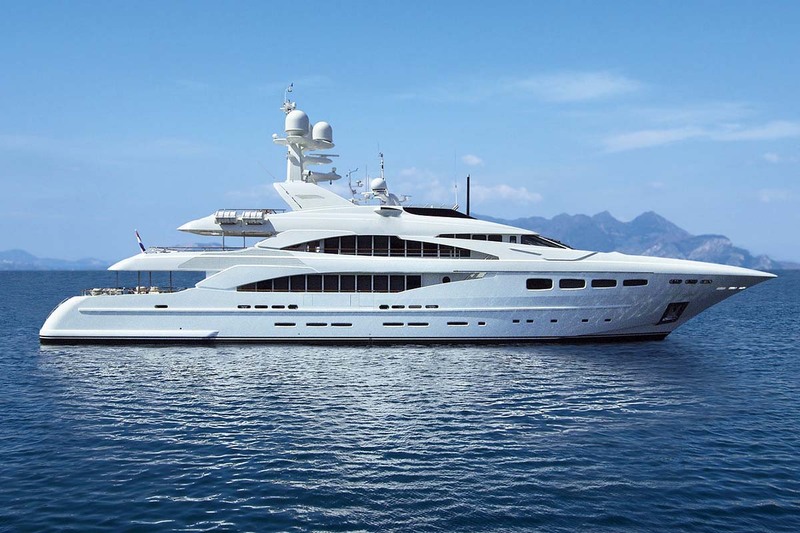 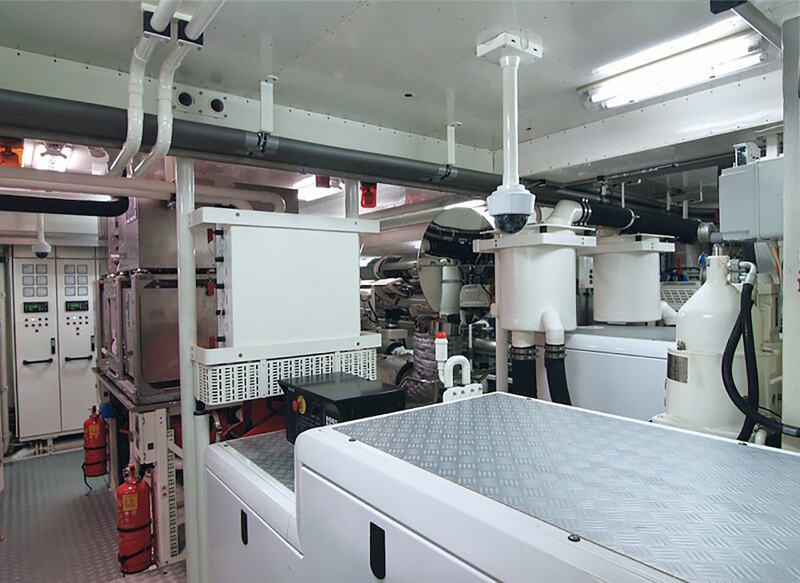 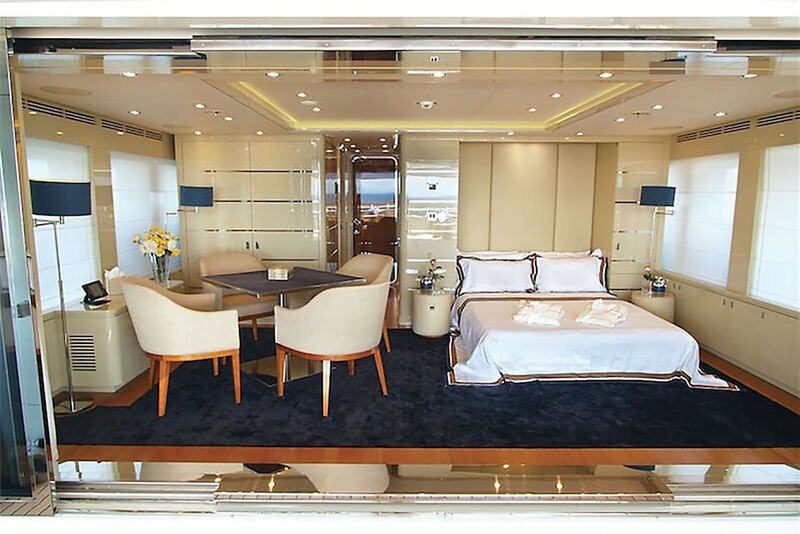 She also carries an impeccable crew of 11, sleeping in one Captain's cabin and 6 twin crew cabins. 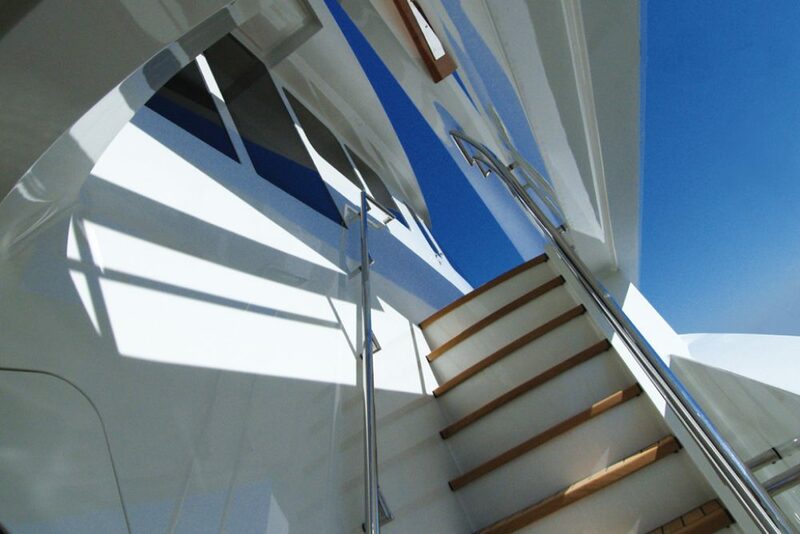 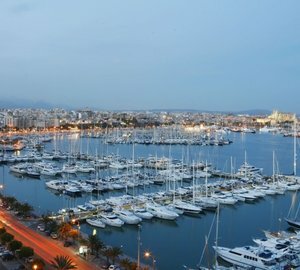 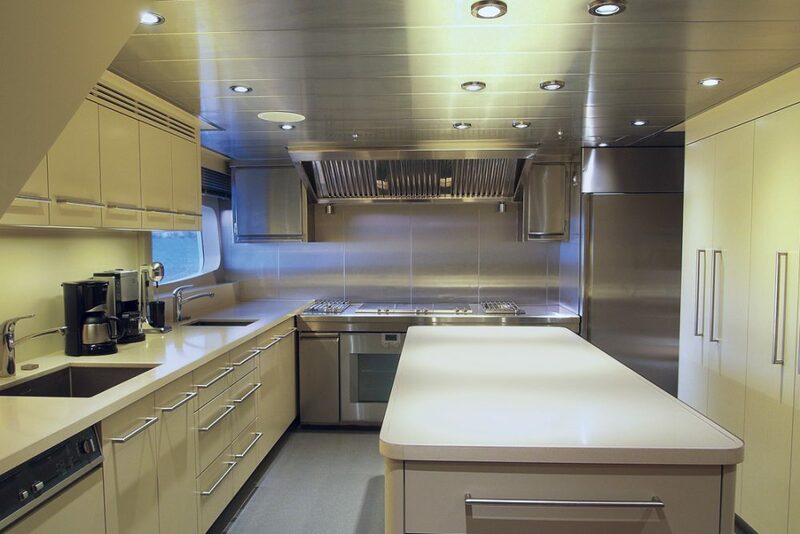 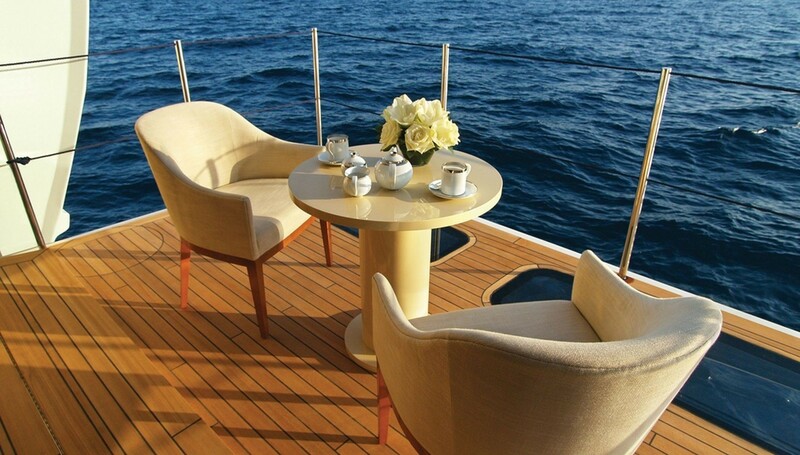 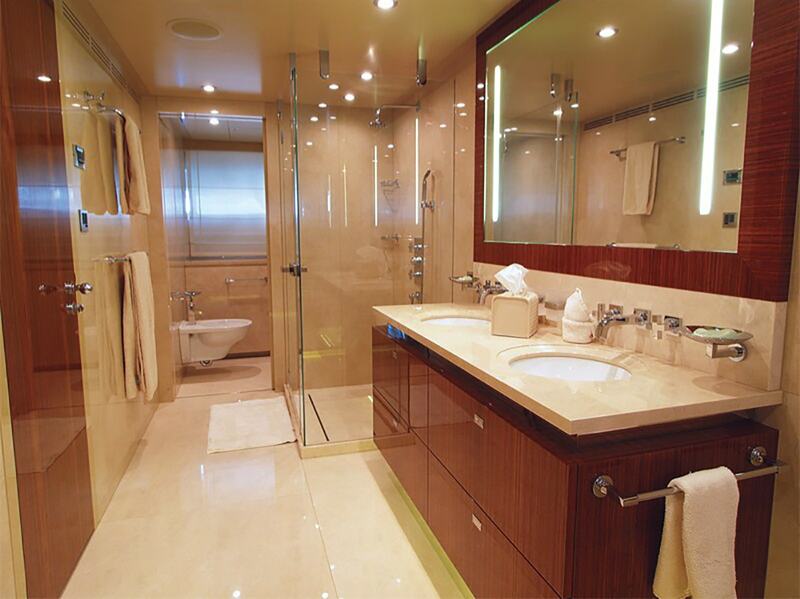 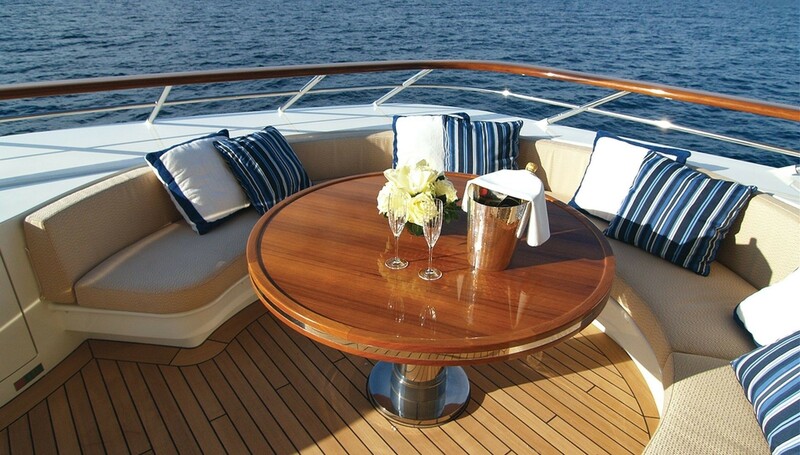 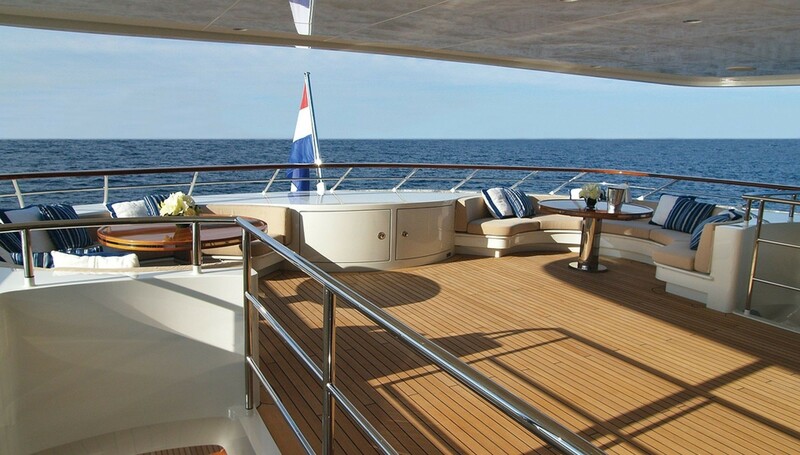 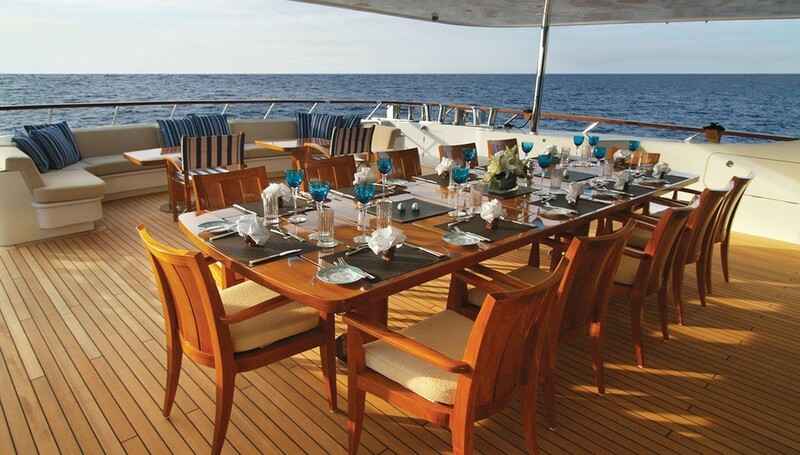 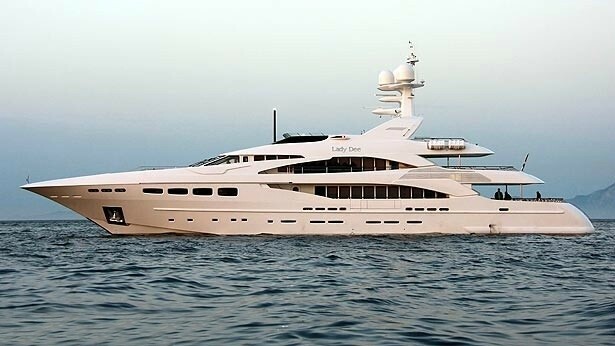 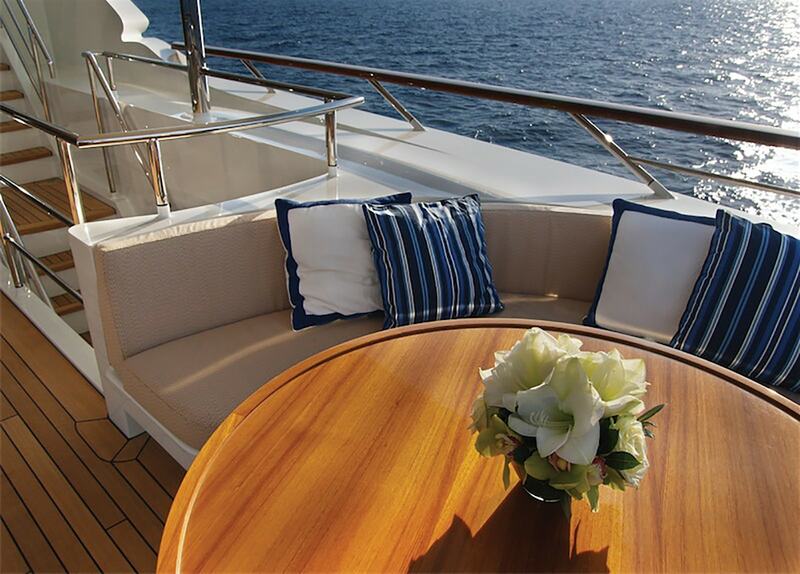 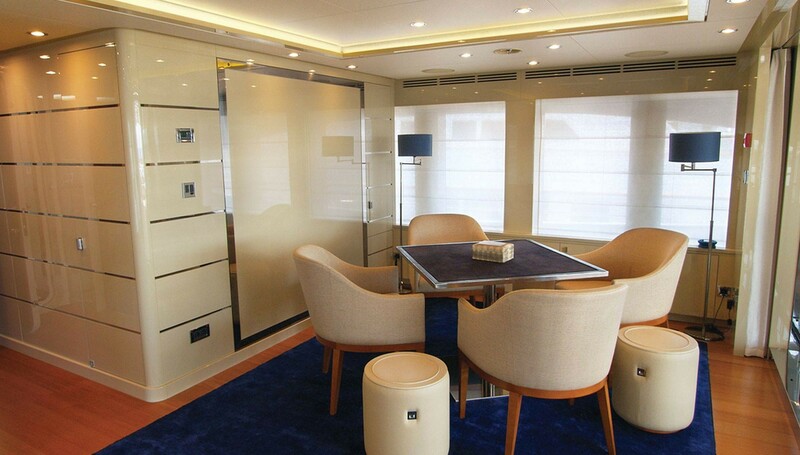 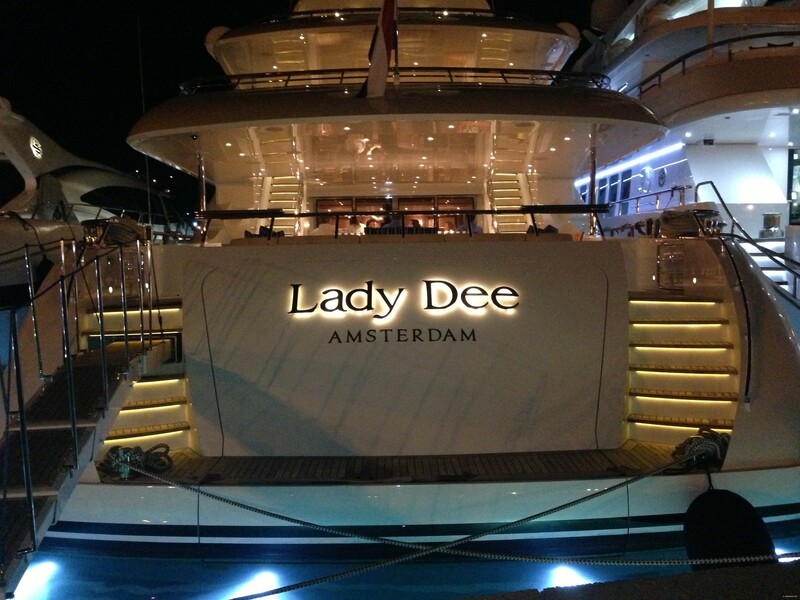 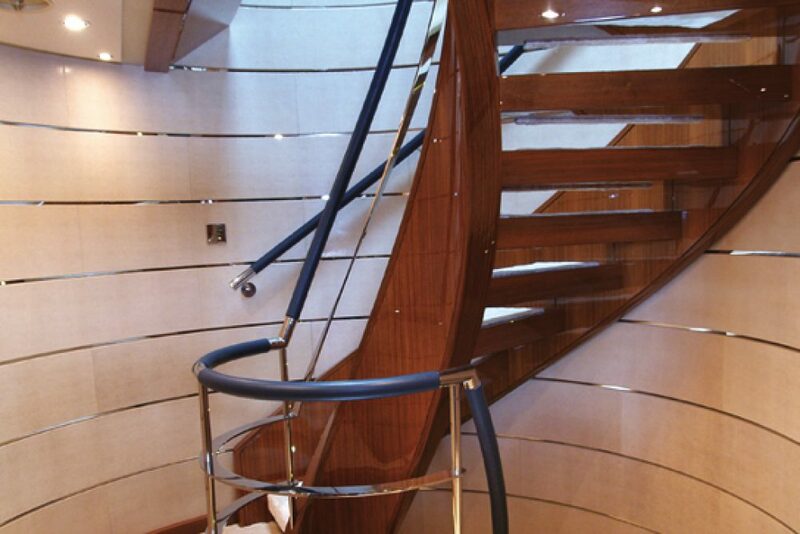 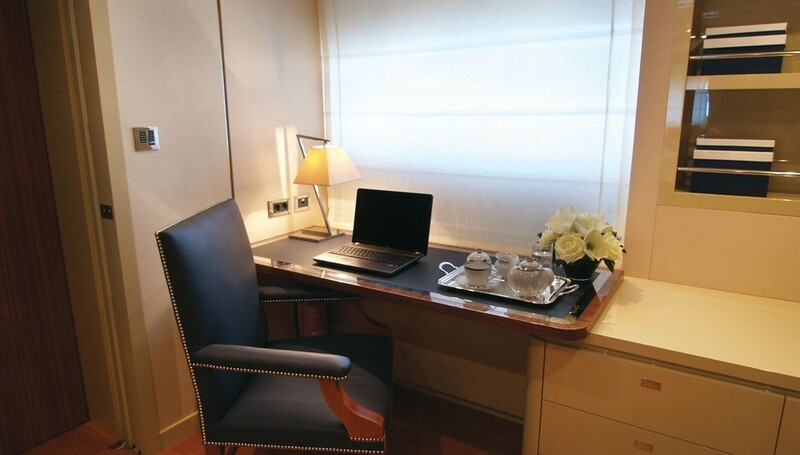 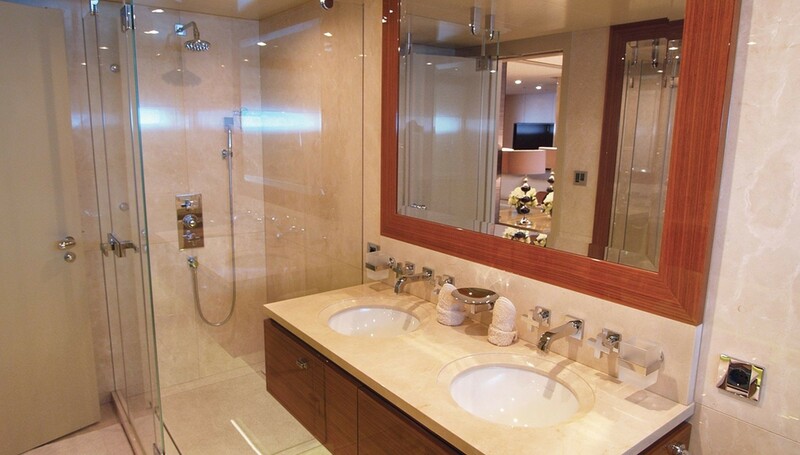 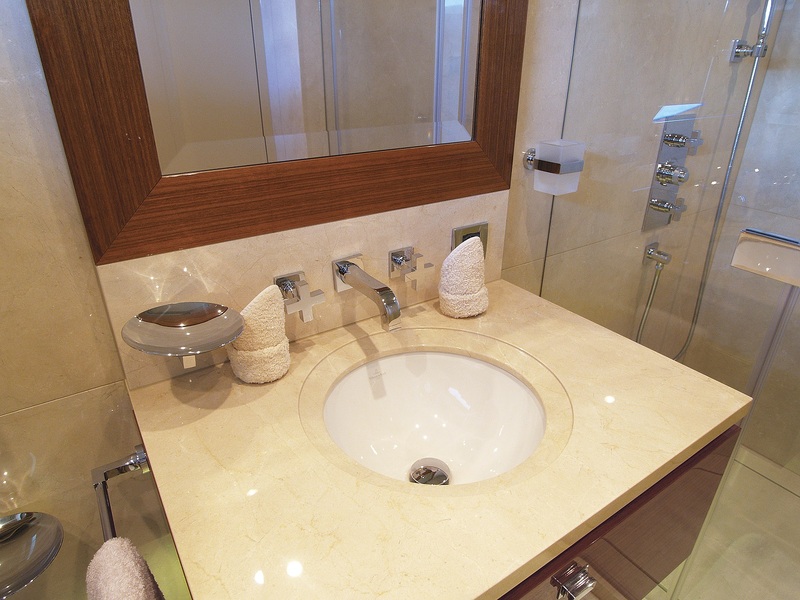 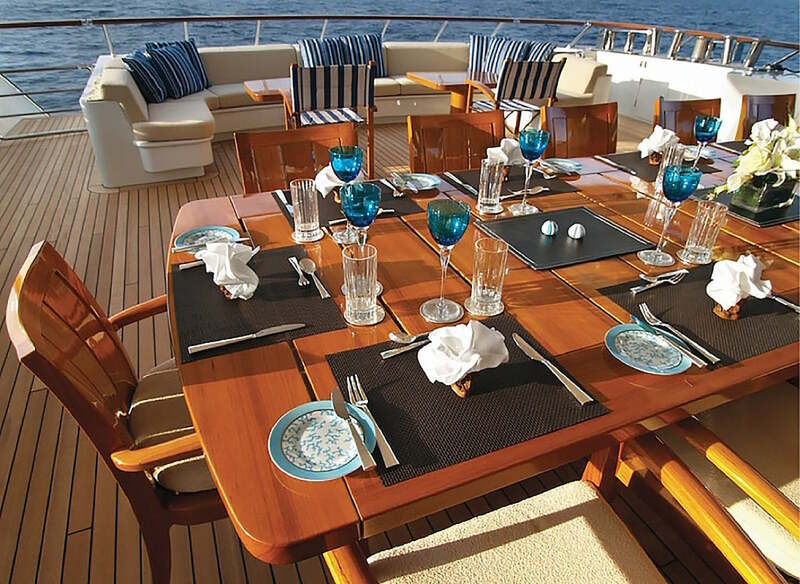 Please contact CharterWorld for a full list of yacht charter amenities and extras that charter yacht LADY DEE carries.